Some of Australia’s hottest emerging contemporary circus artists will deliver breathtaking displays of physical endurance and gravity defying stunts, when the National Institute of Circus Arts’ (NICA) 2018 Bachelor Degree graduates present Company 18. 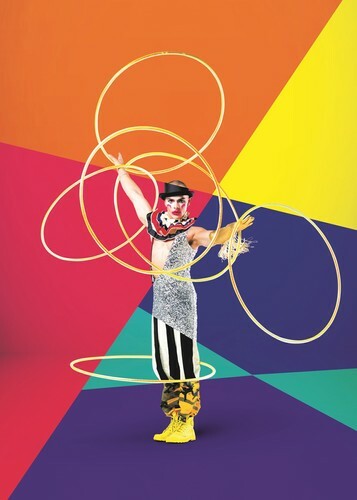 Inside the National Circus Centre, 18 performers will showcase the culmination of three years of elite training with dazzling roue Cyr, hula hoops, adagio, swinging trapeze, unicycle, handstands and aerial rope skills on display. Curated by NICA’s Head of Circus, James Brown, each of Company 18’s acts has a different feel, from dark and moody to the pure ridiculous and everything in between. Amongst the performer line up is “hair hanger” Zoë Marshall, who stuns audiences whilst suspended from the roof by her dreadlocks; former ballet dancer Elanor Nunn, who combines her love for dance and circus with a hula hoop en pointe routine and martial artist Zion Martyn, who performs partner acrobatics and risley foot juggling with his fiancé Poppy Fairbairn. Company 18 will be hosted by Jan van de Stool, Australia’s favourite Dutch/Australian musical therapist who will combine impressive vocals and cheeky comedy to add to the evening’s whimsical variety atmosphere.